This time of year, in this part of the world, it’s hard to avoid baseball. It’s on all the screens in all the bars. It’s all over my Instagram account. It’s on the waiting room TV at my local hair replacement clinic (I was picking something up for a friend). And so while I’m normally not particularly interested in the game or the outcomes, I’ve spent a fair amount of time this past month watching baseball. If you’re righthanded, you wear your glove on your left hand and you throw with your right. If you’re lefthanded, it’s the reverse. I’m no Abner Doubleday, but this seems backwards to me. First, because catching strikes me as way harder. You’re running, you’re jumping, you’re tumbling (often, all at the same time), all while doing your best not to slam into walls, other participants, and the occasional hot dog vendor. Throwing? Well, I’m not saying it’s easy, but in most cases you are standing upright and repeating a motion that you’ve done in exactly the same way a thousand times. Second, because catching is more important. You have to field the ball before you throw it. If you blow the catch there is no throw to be made. And, since you’re always throwing to a teammate, maybe if he/she were wearing the glove on their dominant hand, you could afford to throw a little less accurately because they’d be a little bit better at catching. Which is why first thing Monday morning I intend to … do nothing. I’m not going to call up Major League Baseball headquarters and ask to speak with somebody in charge. I’m not going to post a persuasive video on Tumblr (whatever the hell that is). Why not? Because it’s a waste of time. Right or wrong, the world of baseball gloves works the way it works and I’m not going to change it. Either try to convince people that you are right – that they need what you are offering and here’s the 10 reasons why – or (recommended), find demand that already exists and shape your services to fit that. Are You Asking the Right People? Last week, somebody contacted me with a question regarding an email service that he was thinking of developing and offering to doctors. He wanted to know if I thought it was a good idea. His approach – ask an “expert” (or a colleague, or a relative, or your know-it-all brother-in-law with the fancy MBA) – is not unusual. It’s not even illogical. It’s just not nearly as valuable as asking people who look like those that might ultimately buy your service. They write the checks, so theirs are the opinions that matter the most. Develop a simple handout that describes your concept. Not a lot of words and nothing fancy. A couple of PowerPoint slides. Contact five people who fit your target market. Use your network to identify friends of friends if you don’t know enough people in the demographic you are targeting. Get on the phone, share the handout, explain the idea, and ask for their thoughts. Do they think anybody would buy it? What do they think it would cost? How could it be improved? At this point you are not trying to persuade them – you are conducting research. Modify as best you can, then talk to five new people. You’ll run out of ideas for making your concept more enticing and you’ll decide to trash the entire thing. That’s OK; you’ll have saved a lot of money and a ton of time. The people you’re interviewing will begin to perk up. When they start interrupting your explanation and start asking how/when/if they can buy it, you’ll know you’re on to something real (i.e., something you can sell). Most of us intuitively appreciate the value of getting input from other people when developing something new. The problem, however, is that many people forget to focus on the input that matters most: the potential buyers of your service. Can you say Abner Doubleday three times fast? What’s your approach to testing new service ideas? 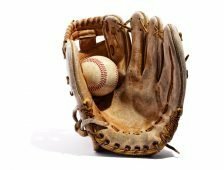 Hi Michael – another option for baseball players is to dispense with gloves altogether (like football) thus allowing catching and throwing with the same hand in real time. However, those Craig Kimbrel 98 MPH fastballs might hurt a bit more than a Tom Brady pass. Apparently, that’s how the game was originally played, until someone (with several broken fingers, no doubt) thought to invent the glove! I post two options of a craft workshop I am considering teaching on Facebook, and ask my customers which one they prefer. The downside is that they always make a choice between the two, (which gives me excellent FB engagement) but that doesn’t mean they want one of the two to begin with. Hi Tina. Not perfect, I agree, but so much better than just winging it!